In recent months, NJSBA has replaced many of the Association’s old desktop computers. Fifteen of the computers are being repurposed in an appropriate way: They have been donated to the Rungiri Secondary School in the Kikuyu area of Kenya so students can gain the computer skills that will help them qualify for college admission and help them become career-ready. Gina Cuciti, administrative assistant in NJSBA’s Legal and Labor Relations Services Department, made arrangements to donate the computers through the Tetezi Foundation, a New Jersey-based group founded in 2017 by Becky and Art Livingston of Jackson. The foundation supports qualified institutions and families in Kenya. 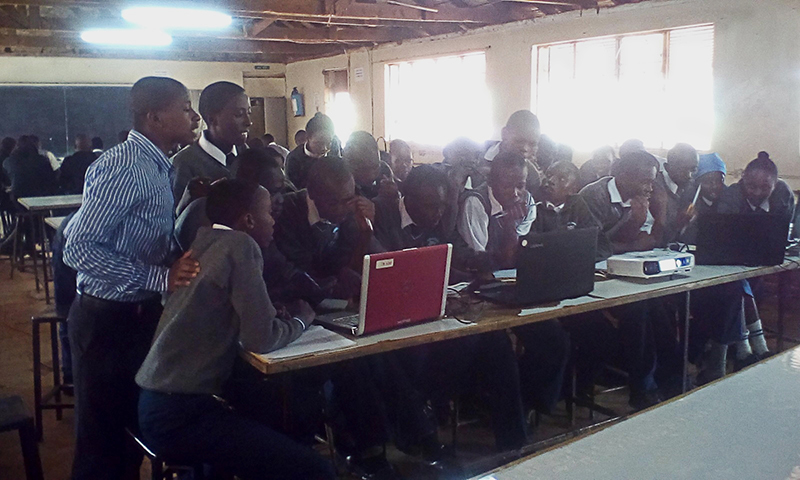 Approximately 7 percent of Kenyan high school graduates have grades that qualify them for college, but do not have the basic computer skills required for admission. Currently, there are about 50 students sharing seven computers that the foundation had previously provided. The computers being donated by NJSBA will allow approximately 100 students in total to gain the skills necessary for educational advancement. The Livingstons will personally deliver the computers to the Rungiri school, and are currently working with the U.S. Embassy, the Kenyan Consulate, and the Kenya Revenue Authority to expand this program for Kenyan students.